It’s “North to Alaska,” for the 11th School4Santas Cruise. In fact it will be a cruise + tour starting on May 14, with a four-day land tour including Fairbanks, gold mining, a paddlewheel riverboat tour, dog sleds, Eskimos, Mt. Denali, plus a stop at the Santa Claus House at North Pole, AK. This is followed by a seven day cruise. And for those who can only join us for one week, they can Join us on May 18 in Anchorage and take the cruise only. During our 10th Cruise to the Caribbean, last May, we polled everyone with the goal to decide on where the next School4Santas cruise should go. 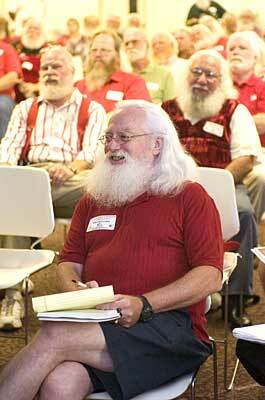 While at sea, we had two days of school and even a special side meeting of just the wives and Mrs. Claus. And we also had many who could not go on this cruise and suggested Alaska for our next cruise. While on board, each morning when we are at sea, we will have a full School4Santas, broken down into three mornings. Included in the school will be a Santa Claus Oath Ceremony and a Graduation ceremony with presentation of personalized diplomas. This will take place on the final day of the school, as we head to our final stop in Vancouver. There is no cost for you to attend this school if you book directly with our Cruise Coordinator, Kimberly Switzer. And because the wives have requested it, there will also be a special program of meetings and activities, just for the Mrs. Claus and wives. This will be our third Alaska cruise and this time we are starting with the land tour, starting in Fairbanks. And while in Fairbanks we will take a little side trip the North Pole and the Santa Claus House. The discussions also covered other future cruises. We agreed that we should try to schedule the 2020 Cruise to the Mediterranean, with stops in Italy and Greece. But that will take more time to schedule. This years Alaska cruise will be aboard one of the newest Princess ships, the Royal Princess. All rates and offers are subject to availability  Those who booked through the IUSC coordinator at Princess Cruises are fully registered for our School4Santas and can also get a tax deduction for portions of the cruise and the School. Check with your accountant. Any fares shown are per guest and quoted in USD. Taxes, Fees & Port Expenses are additional.